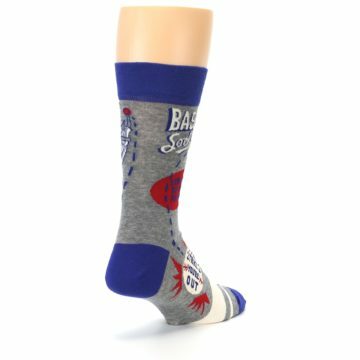 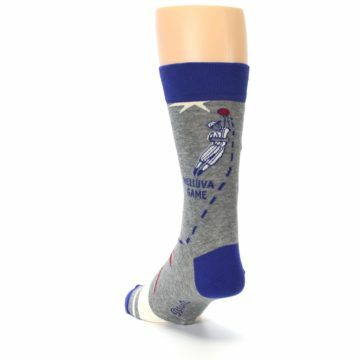 Brand: Blue Q - puts personality into every sock with funny sayings and illustrations. 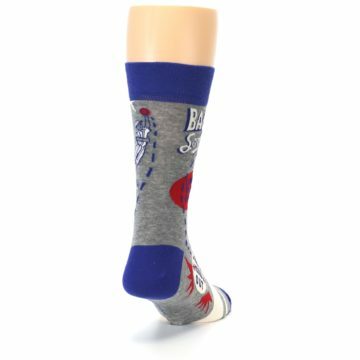 Irreverent and unapologetic, Blue Q makes sarcastic socks to fit any mood. 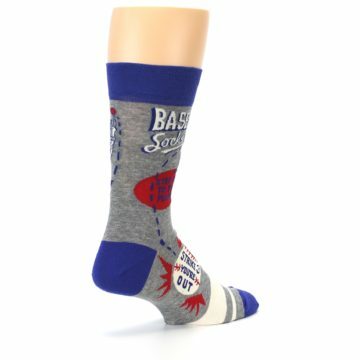 Perfect for gifts, business meetings and relaxing weekends. 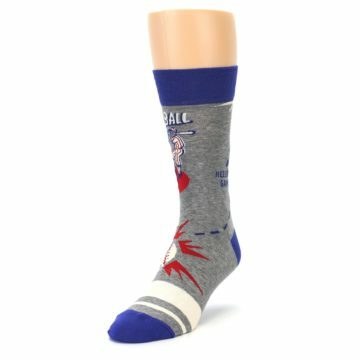 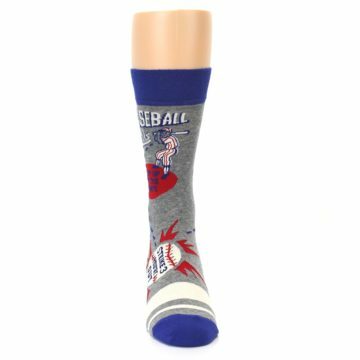 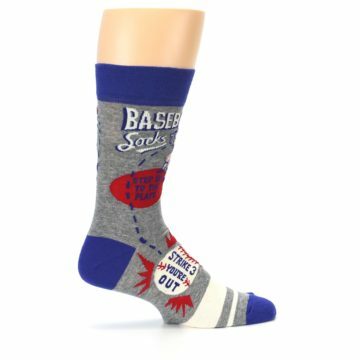 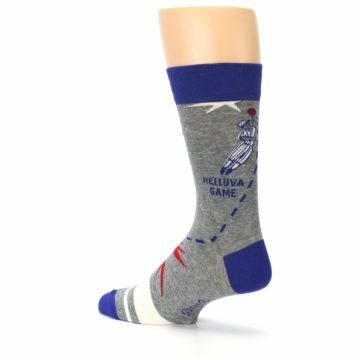 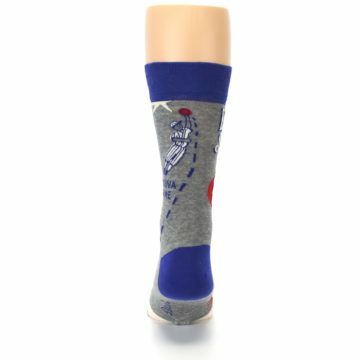 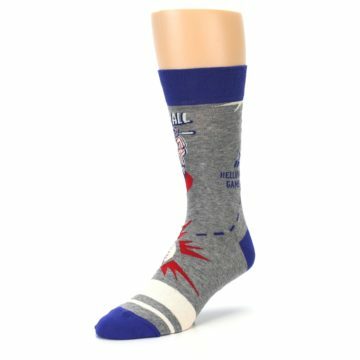 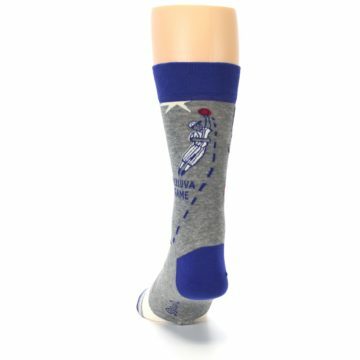 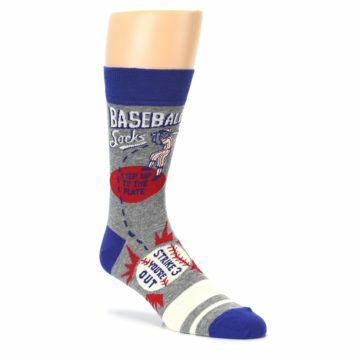 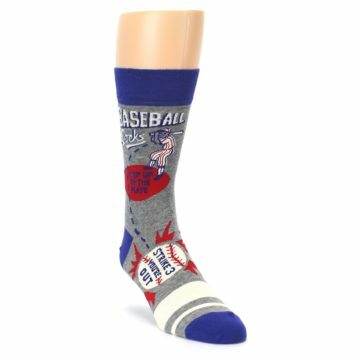 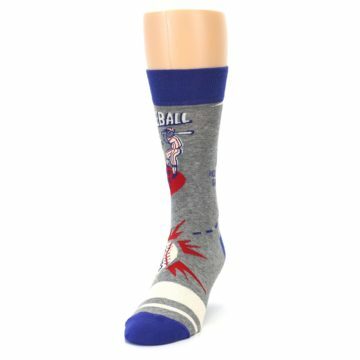 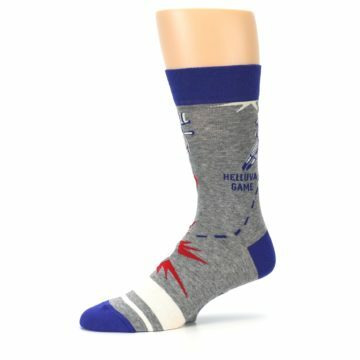 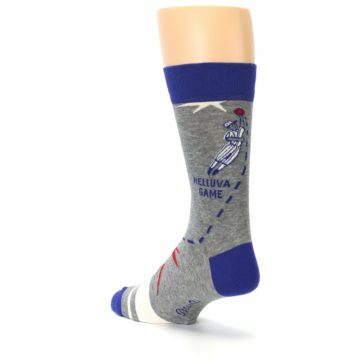 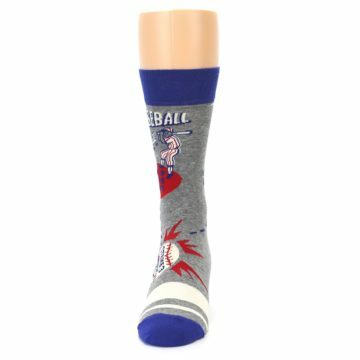 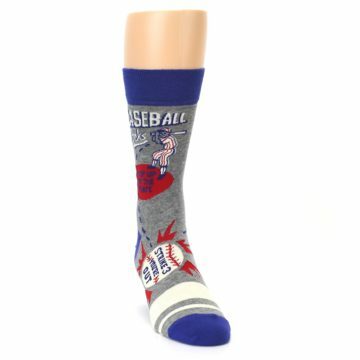 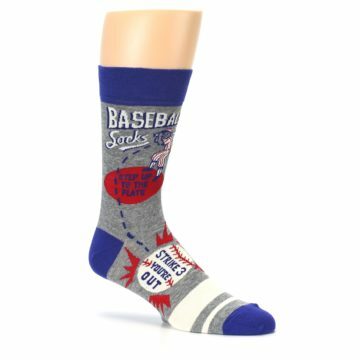 There are not yet any reviews for Grey Blue Baseball Men's Dress Socks.